WASHINGTON – The progressive nonprofit that employed Washington, D.C. Antifa leader Joseph “Jose” Alcoff is refusing to say whether he was fired following his arrest in connection to a mob attack against two Marines in November who were mistaken for being members of a white supremacist group. But Dougherty declined to say when in December and on what terms Alcoff left AFR or whether the organization was aware of Alcoff’s radical ideology prior to TheDCNF’s reporting. Alcoff is a self-described communist and has called for the violent overthrow of the government. Two DCNF reporters approached AFR’s Washington D.C. office on Thursday to inquire further about Alcoff’s departure, but were told to wait outside the office by an AFR employee citing “security concerns.” AFR’s name and suite number were not show by the entrance to the group’s office nor on a building directory. AFR recently removed its address from its website. “The gentleman you’re asking for doesn’t work here anymore. We’ve said what we have to say, so that’s it,” Dougherty said before immediately turning around and walking back into the office, ignoring reporters’ questions. Soon after, a security guard asked the reporters to leave the building as they were discussing how to proceed with the story. AFR had requested the reporters’ removal, the security guard told TheDCNF. Alcoff’s criminal defense attorney, Michael Coard, told Philadelphia Magazine on Thursday that The two Marines the Antifa mob allegedly beat are “mistaken and exaggerating” in accusing Alcoff of hurling racial slurs during the attack. The two Marines were “mistaken and exaggerating” when they accused Alcoff of shouting racial slurs at them while he allegedly beat them, the Antifa leader’s lawyer, Michael Coard, told Philadelphia Magazine. The attorney did not, however, deny that Alcoff assaulted the Marines. Coard also did not deny that Alcoff was part of the mob. Alcoff is the first white client Coard has taken on in at least 21 years. The defense attorney told Philadelphia Magazine in 2018 that the last time he took on a white client was in 1997. Coard did not return a request for comment. 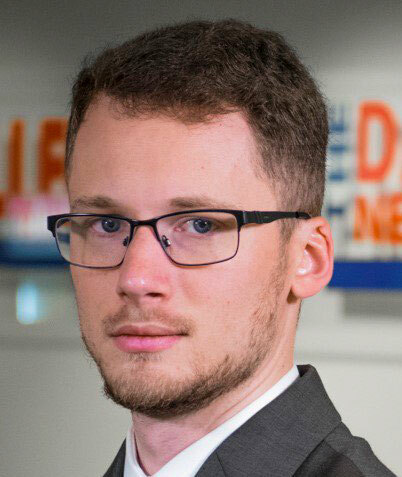 Andrew Kerr is an investigative journalist for independent news and media organizations through the Daily Caller. He previously wrote for The Western Journal and attended the University of North Carolina at Charlotte.